This tiny orchid, formerly better known as Listera cordata, is extremely difficult to find not just because of its diminutive size, but also because it grows in shady, humid sites between or underneath taller plants including Heather and Bilberry. Once found the orchid is unmistakeable. The tiny star-like flowers and stem of the plant are flushed with red. Close to the base there are two heart-shaped leaves which face each other on opposite sides of the stem. The name twayblade refers to the pair of heart-shaped leaves (two blades) near the base of the plant. The flower spike is usually between 5 and 10 cm tall. In the UK this orchid is most common in Scotland but is also found in northern England, North Wales and parts of Ireland. 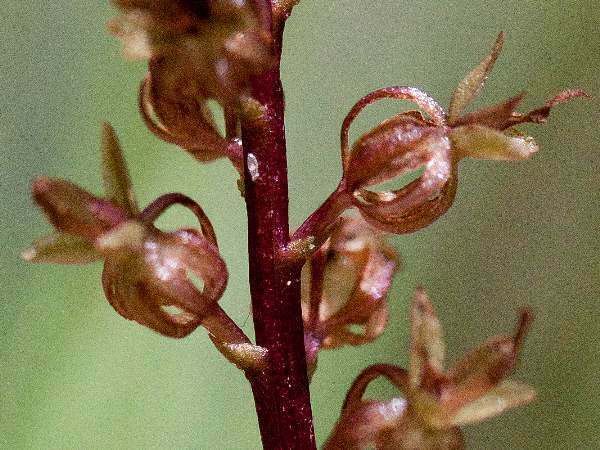 Its world range is throughout the northern hemisphere in Europe, Asia and North America where we photographed its close relative the Western Heart-flowered Twayblade in the Rocky Mountains. 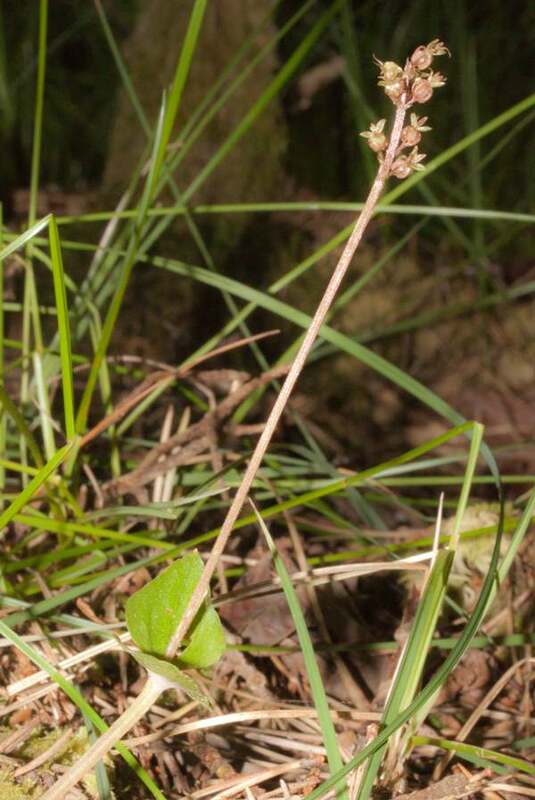 The Lesser Twayblade is found in moorland, bogs and other mossy places and occasionally in pine forests. It is very hard to locate but once one is found there are usually more plants in the immediate vicinity. 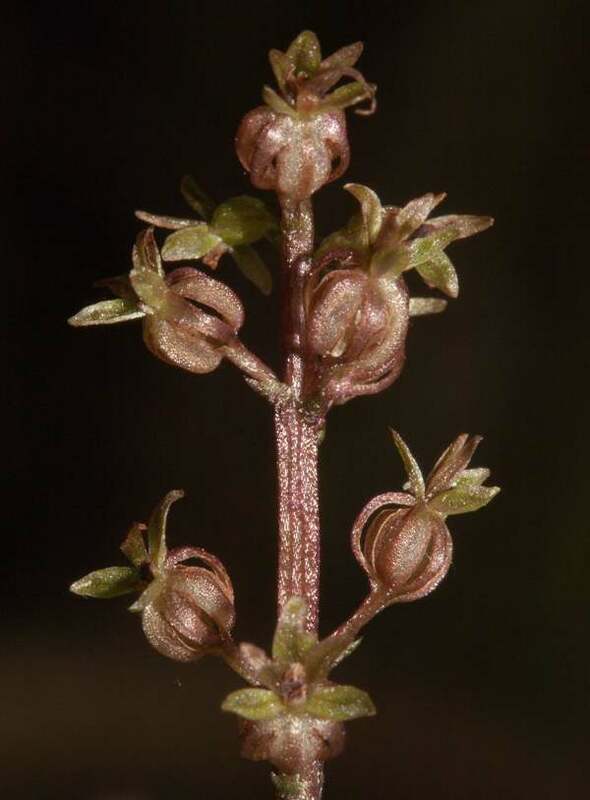 Lesser Twayblade flowers in May and June. This page includes pictures kindly contributed by Elaine Hagget. and Rob Petley-Jones.